It’s a mystery of modern medicine: Americans — and only Americans — are becoming more likely to report feeling very real physical effects after taking totally fake painkillers, say scientists from McGill University. 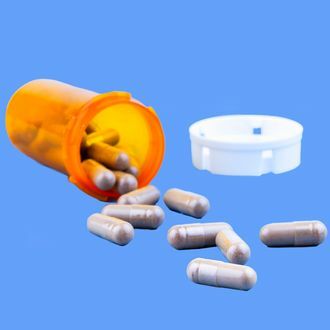 According to their findings, published this week in the journal Pain, the placebo effect has gotten stronger since the early 1990s, but only in drug trials conducted within the U.S.— not ones conducted in Europe or Asia. The McGill University researchers analyzed 84 clinical drug trials of pain medications tested between 1990 and 2013. Over that 23-year period, they focused on the patients’ self-reports of their level of pain after taking either the actual drug or the placebo, and found some striking figures. According to the patient responses, in 1996, medications were rated as being 27 percent more effective painkillers, on average, as compared to placebos. By 2013, however, that difference had shrunk to just 9 percent. But this finding only held true for the trials conducted in the U.S.; no similar increase in placebo effectiveness was seen in the European or Asian trials. (Research in recent years has also shown an increase in the placebo effect for anti-psychotics and antidepressants, though these studies didn’t compare differences in trials across the globe.) Reporting on the study for Nature, writer Jo Marchant notes, “Simply being in a US trial and receiving sham treatment now seems to relieve pain almost as effectively as many promising new drugs.” The practical implications here are hugely frustrating for pharmaceutical companies, Marchant reports, as in the last decade more than 90 percent of painkillers have failed to show a significant improvement over placebos in the final stages of drug trials. The researchers have zeroed in on two potential explanations. First, the U.S. is one of only two countries worldwide in which drug companies are allowed to advertise directly to consumers. (The other is New Zealand.) So it’s possible that hearing the lofty promises pledged by pharmaceutical firms in these ads may have increased consumer expectation of the potential efficacy of any old drug handed to them by a person in a lab coat. But the more important answer, the researchers think, may lie in the fact that clinical trials in the U.S. grew longer and included more participants over the two decades studied here. In 1990, the average trial was four weeks long, but that had grown to a 12-week average by 2013; similarly, the average trial in 1990 included just 50 or fewer people, and that too increased by 2013, to more than 700 participants on average. And as these trials have grown, they’ve added more non-pharmaceutical aspects, such as hiring nurses to consult with the trial participants, Jeffrey Mogil, who led the study, told Nature. All of these factors may infuse the entire experience with an official, legitimized kind of feeling, which may also be contributing to the rise in placebo effectiveness. A final possibility: Maybe these more recent studies are simply better and more rigorously controlled than those done in the ‘90s, and so painkilling drugs have always done less than we think, but this is only now coming to light. Whatever the case, it’s clear that human expectation is a potent thing, powerful enough to challenge even the power of an actual drug.